During the economically challenging 1980s brothers David and Robin Simpson were looking for an opportunity to start a new food processing business in Ireland. After some time looking, equipment came to David’s attention that could be adapted to produce fine mayonnaise. As soon as Robin concluded negotiations they were up and running and Blenders was born. It didn’t take long for the two brothers to move the equipment to Newmarket, Dublin that has become Blenders home. With a couple of employees David began producing mayonnaise for delivery around Dublin and memories of his draughty old MG and working all hours remains with the staff today. Robin looked after the financial and commercial side of the business. Many of the early team remain with the company over 20 years later. Best known for Blenders high quality mayonnaise, the company now also produces a wide range of sauces and bouillons for the foodservice market throughout Ireland. Pack sizes range from 10kg buckets to small table top sachets as well as one ton tanks for the food manufacturing sector. The company also supplies own label sauces and mayonnaise to the major supermarket groups in retail glass and plastic jars. 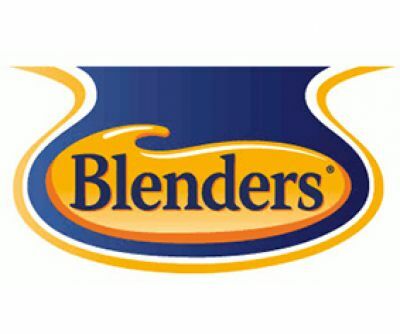 Blenders sponsors the Irish Culinary Team at Catex and the Blas na hEireann awards. The company is an associate member of the Panel of Chefs of Ireland, Catering Association of Ireland, the Restaurant Association of Ireland, the Hotel Federation of Ireland, ITICA and other leading industry associations. Blenders remains deeply conscious of the wonderful support we have received from the catering and retail food industries in Ireland. Our mission is to repay this support by listening well to ensure we provide the right products and services. We consider that doing this right means thinking as a Partner to the Caterer and the Retailer. Today as the next generation of the family start in Blenders, the team that has developed over the years aim is to see the company continue to do its best to achieve this partnership.